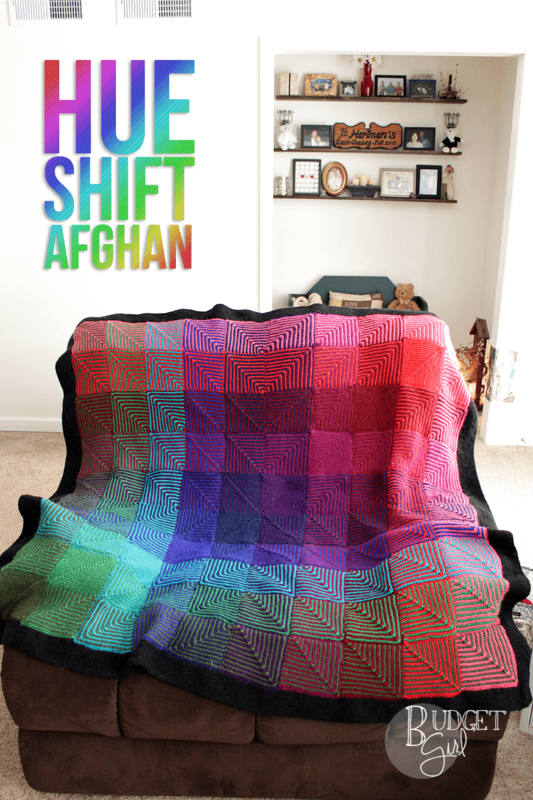 This jewel hue shift afghan knitting pattern is fun and easy to knit. The resulting blanket is also incredibly soft. 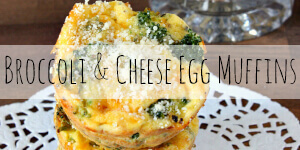 Perfect for cooler months! I’ve waited a year and a half to share this with you because…well, that’s how long it took me to finish it. Albeit, I would frequently go a month or so without working on it at all. Still. 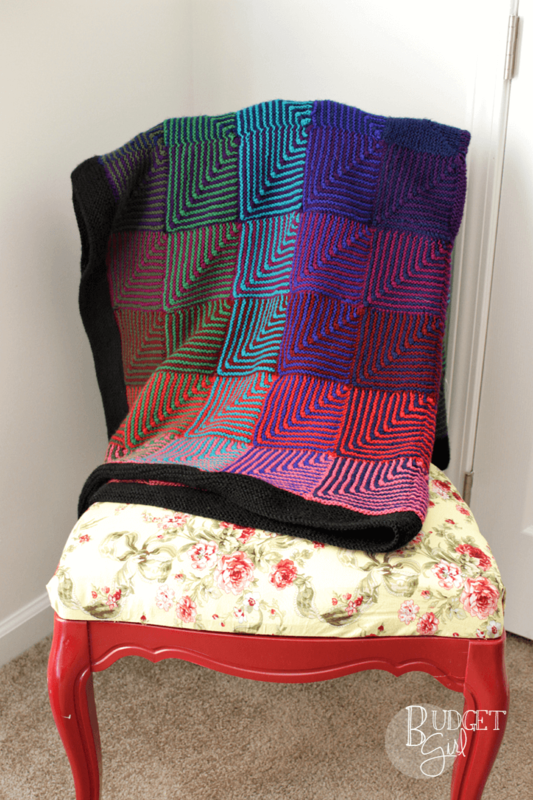 A couple years ago, Zach’s parents got me a Hue Shift Afghan kit from Knit Picks. I was a bit skeptical of how the finished product would look. The photos on the website (and on the pattern) left much to be desired. But I’m actually really impressed by it. This blanket is soft, warm, and really pretty. Since the pattern and everything is on that site, I’m going to explain the hiccups I ran into along the way. I will not be posting the pattern, as I do not own the rights to it. 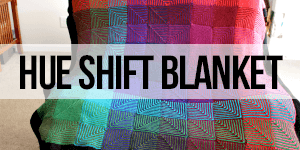 This post is for me to discuss my experiences working with this pattern and help you with any trouble you might have. If you want specifics about the pattern itself (cast on stitches, how often to switch colors, etc.) please go to Knit Picks’ website and purchase the pattern (using the link above). Note: I am not affiliated with Knit Picks in any way. FYI, you can see how I built the shelves in the background here. The stitch you’ll use most often here is the knit stitch, since the whole blanket is done in garter (including the border). But every other row will have a Centered Double Stitch (video here). Once of my problems was that I couldn’t figure out where to start this. The pattern reads as though the cast on stitches count as the first row. I’m not sure if that’s correct, but I chose to ignore it. So I cast on, did the first row in the CDD, and then the second row was garter. I believe the pattern says the second row should be the CDD row. However, I liked doing that in the first row, because it was easier to see when switching colors. The pattern says to mark the center row so you know which one to do. After a few squares, I didn’t need to do that (plus it was a pain, switching that marker constantly). All I needed to do was count the stitches carefully on CDD. You start with 49 stitches, which means 24 is the center. From there, you count down. You’re always decreasing by two stitches, so you always have an odd number (so you go 49, 47, 45, etc.). To figure out your center stitch, just divide your stitches by two and add one. If you’re not going to pause in the middle of a square, you just count down by one. Your center stitch starts at 24, next it’s 23, 22, 21, etc. After I started on the blanket, I decided to read some reviews. I should have done this from the beginning. A lot of people said they had issues with running out of yarn. But the colors that they ran out of were all different…so figuring out which ones to buy a second skein of was basically impossible. I had two options: continue knitting and see if I need more yarn (risking a completely different dye lot by the time I order) or buy a second kit, most of which I won’t be able to use. I decided to go with the first. And, yes, I ran out of yarn in four different colors: Dk Pink (A), Dk Red (C), Purple (E), and Dk Blue (F). So when I got to the end of the pattern, I ordered more yarn. Most of the dye lots were a bit off, but similar enough that you can’t tell. The only one I had issues with was the pink. The dye lot was much different. The original pink was kind of dull, but the new pink is bright and vibrant. Still, you have to be looking for it to notice the difference. The solution: Use smaller needles. I should have done this from the beginning and I feel like an idiot for not thinking of it. Whatever needle size it says to use (US 5, I believe), go a size smaller. And knit tightly. The needles I used were Aldi Turbo US 5 (though I actually prefer to use 16-inch circular needles for this, because it’s much easier to see my work and it doesn’t put as much strain on my wrists) and US 5 32-inch circular. When I started this project, I was still a complete novice. And I had no clue how to “pick up and knit” stitches. Now I do, of course. But when I started, all I did was knit a square, cast off, and start a new square. This is fine and it definitely worked, but it also means that the “wrong side” is more obvious. I also don’t think I did mattress stitch quite right, so there’s that as well. The solution: Watch this video. Watch it all the way through, because she starts with stockinette stitch (for some reason) and then does garter stitch at the end. 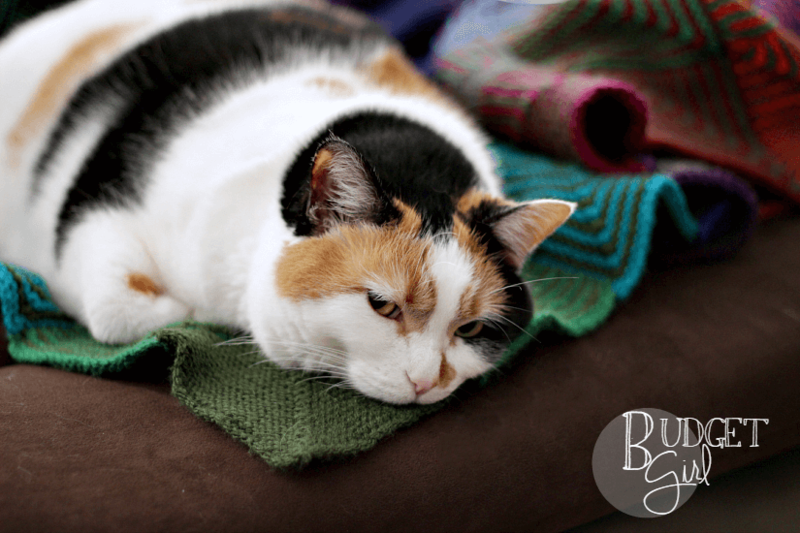 The whole blanket is done in garter stitch, so that’s the one you’ll need. 4. This pattern is not made for mattress stitch. OK, so I did figure out how to do mattress stitch, but it was weird. Normally, you have two horizontal stitches. In this pattern, you’re going to have one horizontal and one vertical. It works, but it’s super weird. The solution: Watch this video on mattress stitch and good luck. Make sure to use the common color to stitch them together, as well. So if you have one square that starts with purple and one that starts with red, but they both have green in them, use the green to stitch them together. For stitching, I recommend using metal yarn needles. I like the plastic ones for their large eyes, but they wore down fast with this project. Metal is much nicer. After stitching it together, it didn’t take long for this blanket to become covered in cat hair. I wonder how…. Don’t try to save yarn by using your cast on/bind off tails to stitch the pieces together. Just cut a piece of scrap yarn–about a foot and a half in length–and use that. You want to have plenty of yarn left over to weave in the ends. I like to have 6 inches on both ends. I tried using the CO/BO yarn and I wound up needing to redo the majority of my stitching with new yarn. Stitch and weave in loosely. Once you start using the blanket, you’re going to stretch it out and wrap it around you and such. If you stitch and weave in tightly, your stitches will come undone as the blanket gets stretched. So stitch loosely, stretch that area of the fabric as soon as you finish the stitching (and before weaving in), and then weave in loosely. This way, it’s already stretched as far as it can go while still maintaining its structure. Stitch as you go. This will make it much easier to keep track of what you’ve already done. Stitch 5 squares together and 5 rows together to make one quarter of the blanket. Keep all of your quarters separate until all four are complete and then stitch them together. Weave in as you go. This is mostly so you don’t spend two days weaving in ends, like I did. It’s the same amount of work, but it won’t feel like it’s taking as long if you do it after finishing each square, strip, and quarter. Count your stitches before picking up and knitting for the border. Not all of them, just 25 at a time. For the first border, you’ll have 250 stitches to pick up (as you work around the blanket, you’ll increase that by 10 stitches because you’ll be picking up and knitting the other sections of the border, as well). Which means for each square, you’ll pick up 25 stitches. It can be a little difficult to see where the first and last stitches are. So pick the stitch you believe to be the first and then count 25 stitches to make sure it finishes where it should. Then pick up and knit. This also makes it easier for you to keep track of how many stitches you’ve picked up and knitted. Send me any questions you have! This is the first blanket I have ever knitted. It wasn’t difficult, but it was overwhelming. If you find yourself confused by the pattern, let me know. It’s not a difficult pattern once you figure it out, but I thought the instructions needed to be clearer. This blanket is very soft but too warm for summer. I’m looking forward to using it this winter! I’m also considering making another one in a different palette–either rainbow or baby. Not sure, though! I’m sure you can see all these mistakes you are talking about, I just see a really beautiful blanket – I mean REALLY beautiful. This looks like a whole lot of work but totally worth it, I’m sure you will enjoy snuggling under it for many years. I’m really impressed. I can knit a plain scarf and that’s about it. I’m more of a crochet kind of girl. I can’t tell there is any difference in colour even after you’ve told me. It’s turned out just gorgeous. I made this kit too. When I called for more yarn, and told them I ran out, they sent additional yarn at no cost. Yes, they did come out with a crochet version. I wrote this about 3 years ago. They didn’t have one at the time. 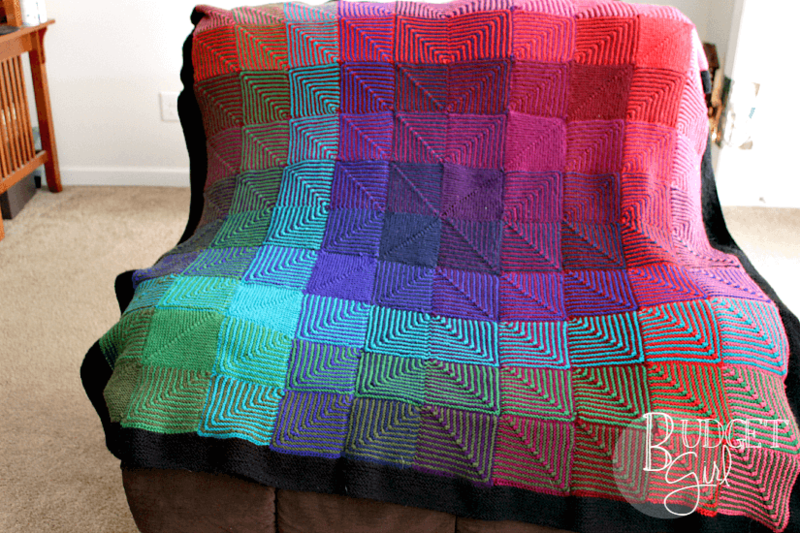 The entire blanket is worked in garter stitch, including the border. I had debated about this blanket for ages, then they added it in new colors. Your post convinced me to take the jump! I bought two kits and I figure I can make socks with the leftovers. 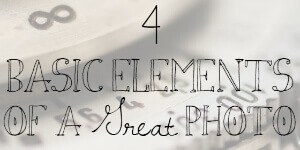 Cannot wait to get started, keeping your blog on hand for all the useful tips! I’m making a rainbow scarf with my leftovers. 🙂 I hope you enjoy the pattern, Freyja! If I wanted to make this a little larger than the 50″ how would I go about this? Thanks for any helps. To make the blanket larger, what I would recommend you do is increase the number of stitches. The current pattern uses 49 stitches for each square. I would still use the sport weight yarn, the size 5 US needles,and just cast on more stitches. Just make sure you have an odd number for the center double decrease. Also, make sure you have enough yarn. This would require a little bit of math on your part, to determine what your gauge is, and how much extra yarn you need. I’m curious how much extra yarn you needed of each color? Do you think if a person did 12 colors instead of 11, and made each square slightly smaller (so that the finished product would be about the same size), that you would have enough of each color in one skein of yarn? Seems adding one skein of an additional color would be more cost effective and efficient than buying two skeins of several colors, and ending up having a bunch of extra yarn. Just a thought for those using the pattern instead of the kit. I didn’t need much yarn for any of them, maybe a couple extra feet. Any time I ran out of yarn, it was while I was knitting the final square in that color (super annoying, but I AM using the extra yarn from buying more). Honestly, I wouldn’t even change the size of the squares. 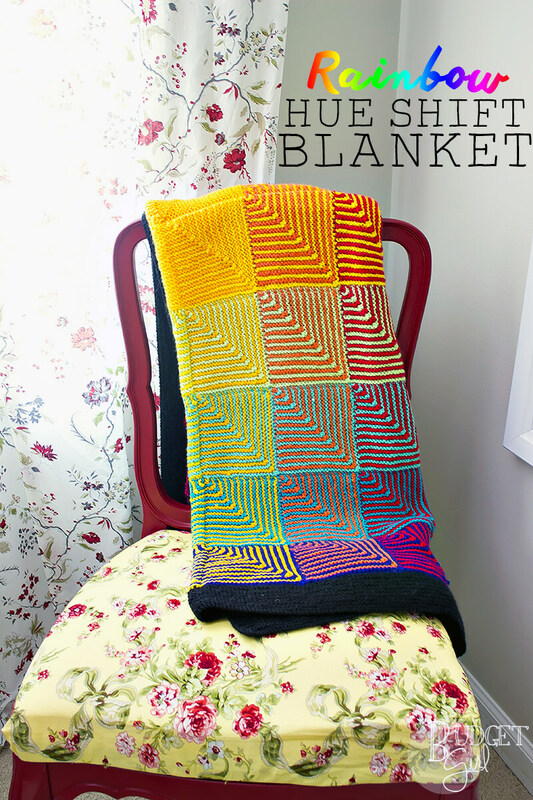 The blanket is a fine size, but I like my blankets larger, so adding an extra color and making it slightly bigger would work perfectly for me. In that case, you would need to pick up and knit 25 more stitches for the border. I always have extra of the border color, but not a lot extra. So you may want one extra skein of that color. However, depending on the yarn you use, you may not even need to adjust the pattern. If you buy a yarn that has more yardage than the Brava Sport, you’ll be perfectly fine following the pattern as is. If you wind up doing this, let me know how it works for you! I’d love to see the finished product. I’m a little confused about why you stitched all of the squares together. 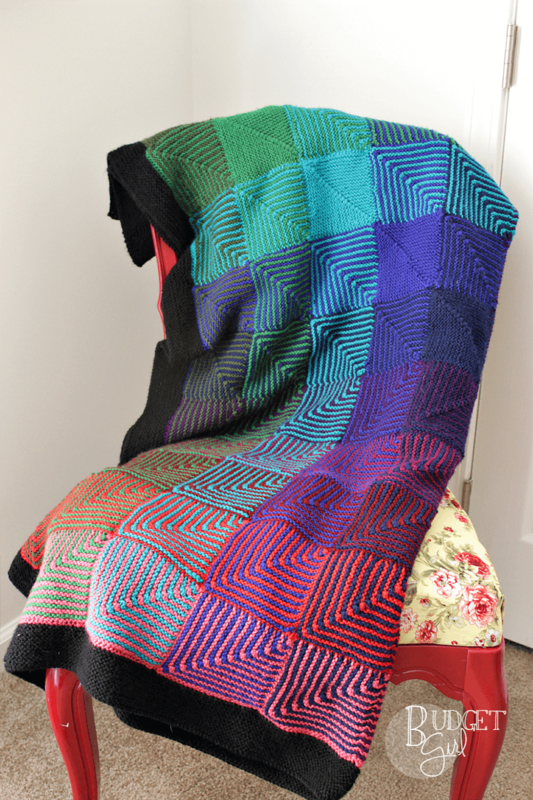 The pattern has you pick up stitches along each mitered square to make a quarter of the afghan, and then you stitch together just four large squares, unless maybe the version you used is older and didn’t instruct you to do that. Hi Savannah! As I mentioned in the post, I didn’t understand how that worked when I first started this pattern. Don’t stitch them together. 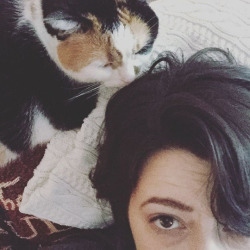 There is a new version of this post here, where I actually knew what I was doing. 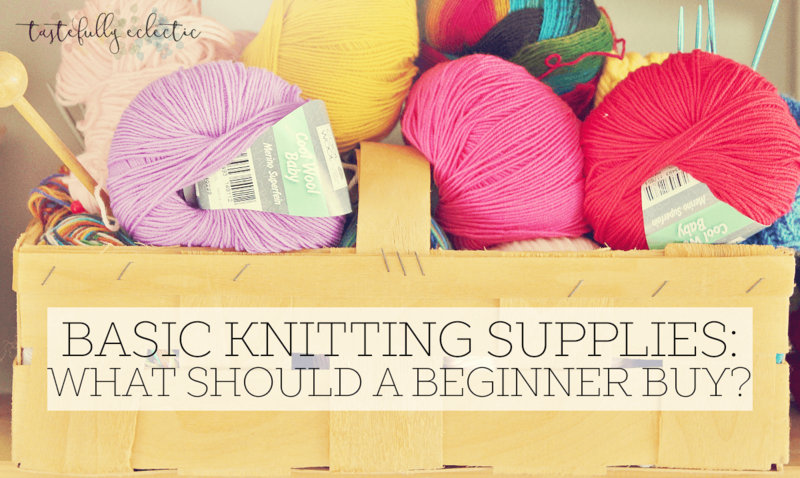 😛 This post was written mostly for newbies who were easily confused by picking up and knitting.